As real estate agents we are always trying to utilize technology to our advantage to market a home, and technology is ever-changing. Gone are the days of listing houses for sale in newspaper and have buyers come into the brokerage to look through MLS books. Almost all buyers these days look at houses online prior to looking in person. This means your house needs to be posted all over the internet and easy to find. When you interview listing agents, make sure the agent knows how to use the latest technology to your advantage when marketing your house. One newer trend is Geo-targeting. This involves using the location of a person to provide them advertising targeting their specific location. We’ve used this in the form of Facebook ads targeted at people within a mileage range of listings for several years now. However, there’s a brand new way to target geographically. 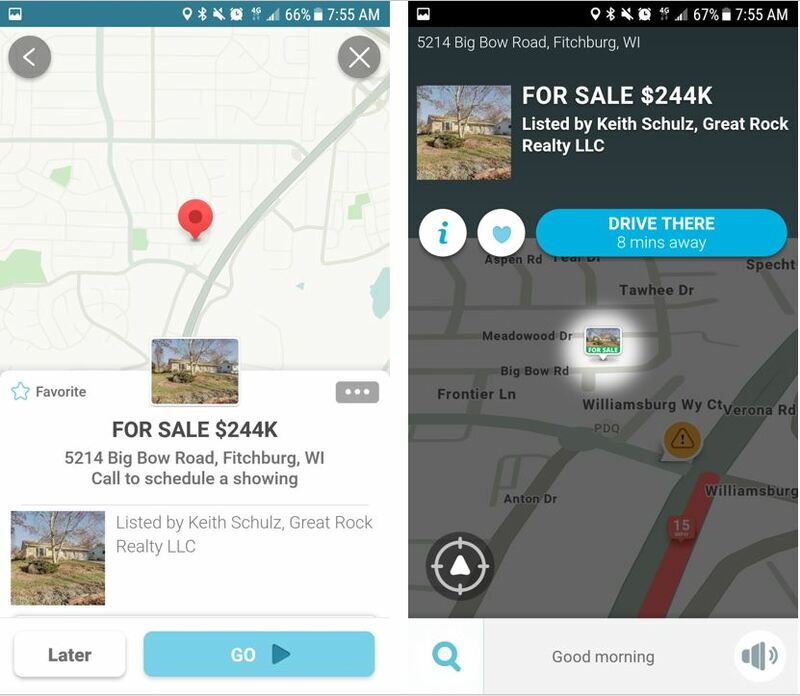 The popular traffic and navigation app, Waze, has partnered with Homesnap to display listings (via paid advertisement) on their navigation maps. Take a look at the screen shots below from the ad for our recent listing at 5214 Big Bow Rd. in Madison. 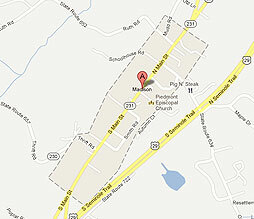 You can see how the listing pin appears on the map of anyone driving in the area. It also offers the user the opportunity to drive to the house or get more information on the property. So far the performance of the number of hits has been pretty strong. 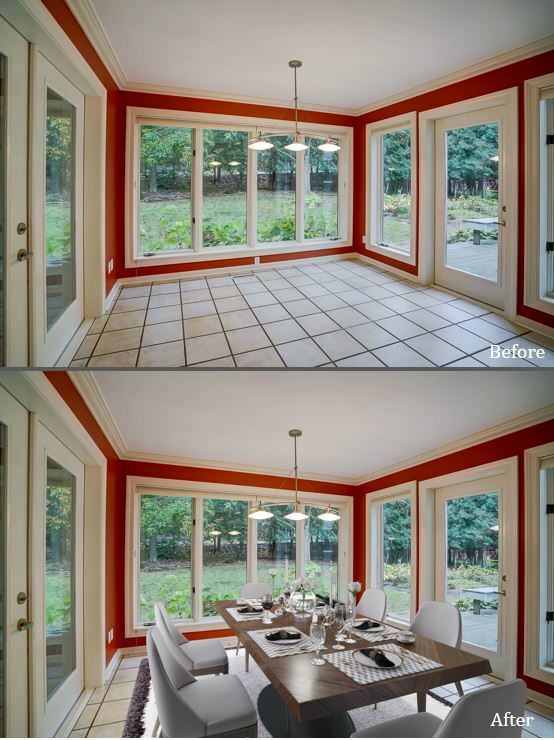 In addition to getting your home’s listing in front of people, you need to make your house look its best too. Think of your listing as on online dating profile for your house. You want to make your home look more desirable than the house down the road. This is why professional photography and quality online marketing is so important. Whatever you do, please don’t hire the agent that just walks around your house and takes pictures with their cell phone or point and shoot camera! Previously I posted about using drone photography, 3d floor plans and 3d scanning to showcase properties. Those techniques work great for a home that is well staged and has a great floor plan, but vacant unfurnished homes can be a serious challenge. A house always looks better furnished as compared to unfurnished, and it looks even better if the furnishings are nice! 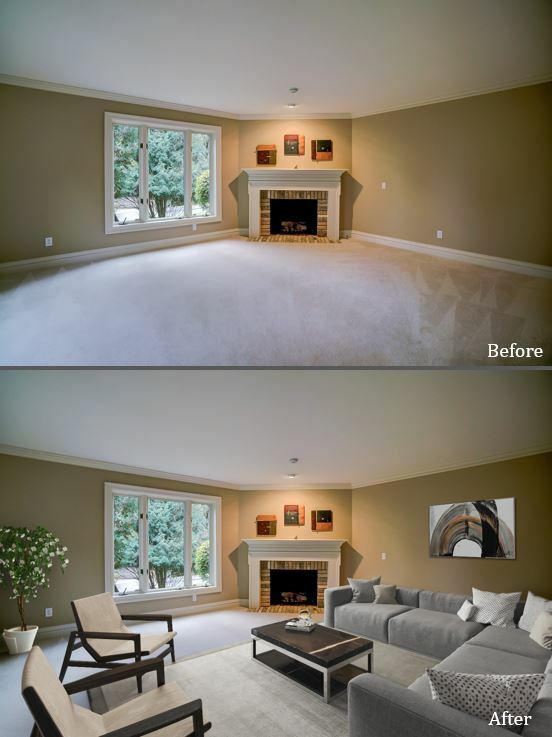 Here’s something new we tried, virtual staging! It’s far less hassle than moving in actual furniture that may not even look great or fit the space well. 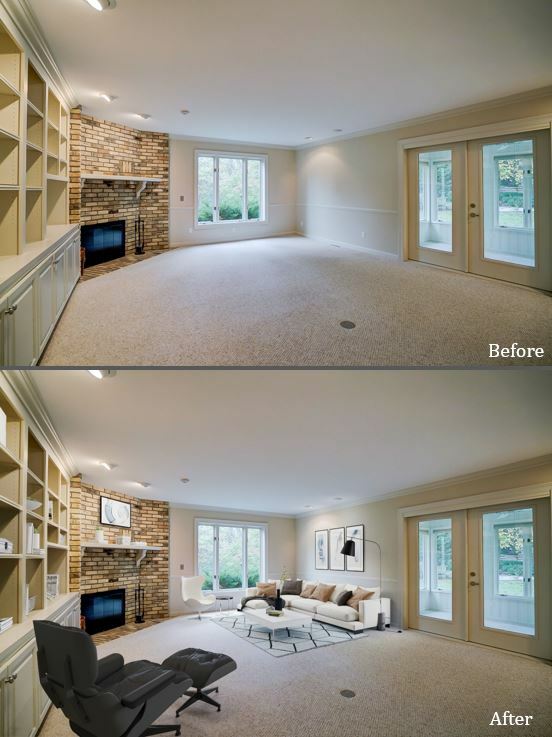 Virtual staging not only will get more people in the door of your home, it will help buyers visualize what a space could look like or how furniture could be laid out. 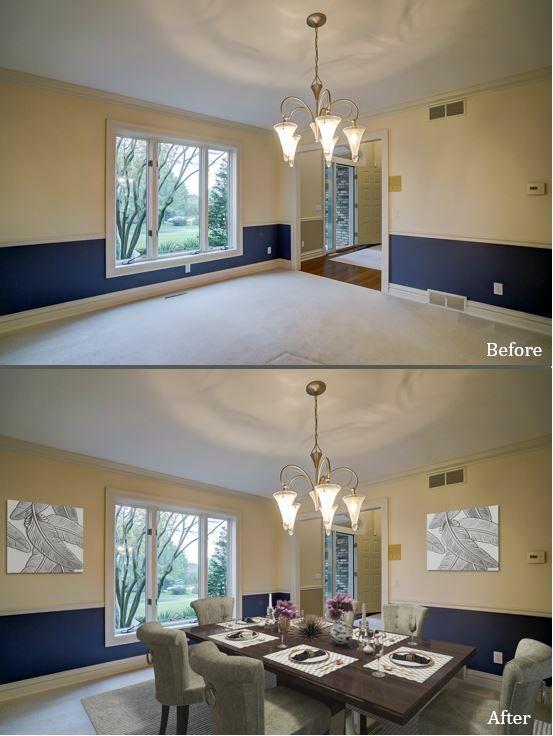 The photos below were some that we did virtual staging on for a recent listing in Middleton. 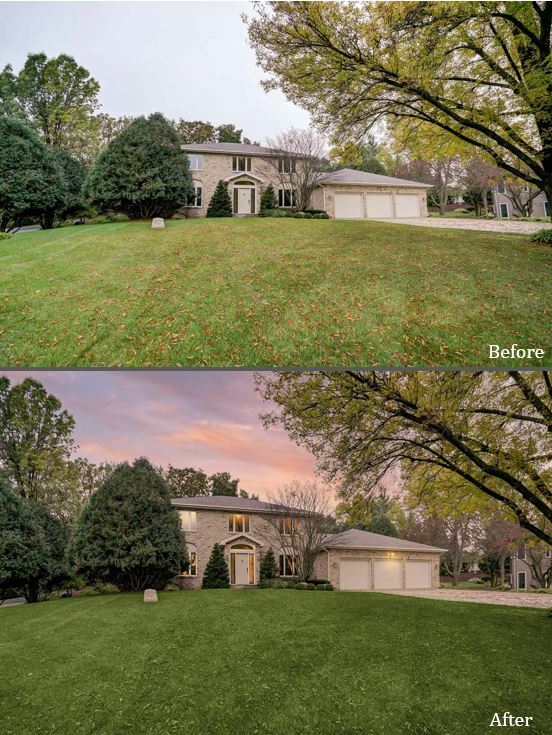 This house had been listed previously by another agent for 5 months, and it didn’t sell. We had several showings and a strong turn out at the open house within the first week of listing it, and we had an accepted an offer within 4 weeks. 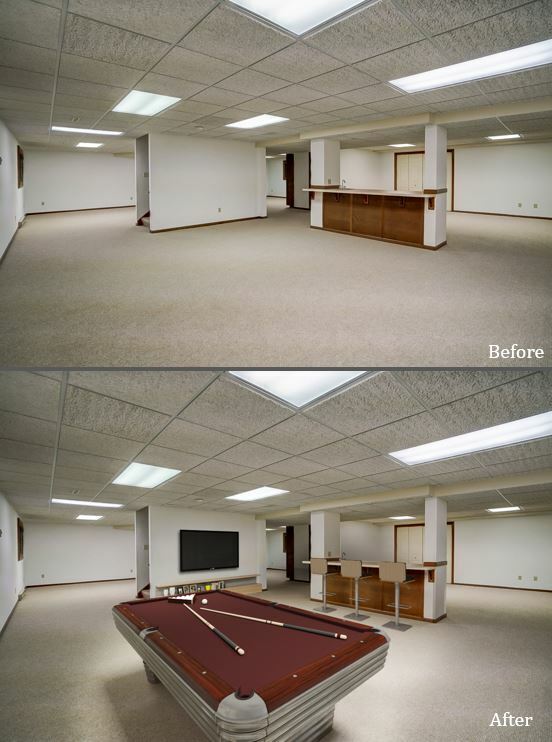 I’m a believer that these photos helped get more people in the door and ultimately helped sell the house. 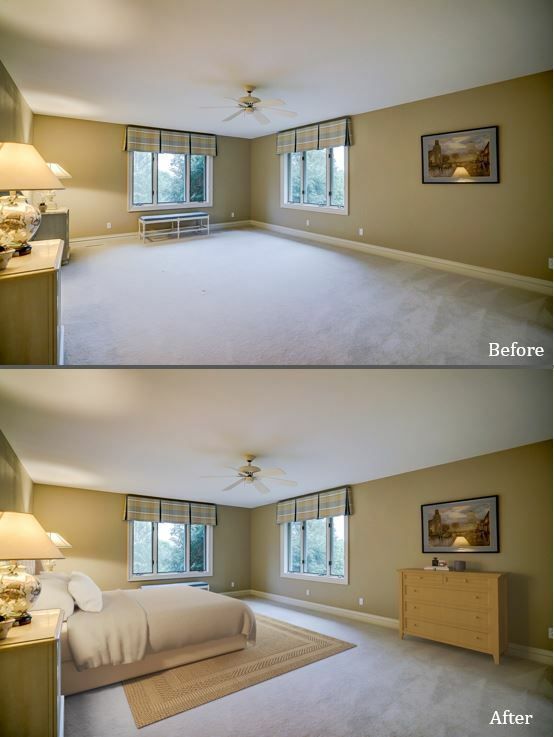 If you have a house that needs to be listed vacant, ask us about this virtual staging. There’s a lot of different ways your home can me marketed. Interview agents and make sure the agent you hire understands the best way to get your home sold!